Precise Mold & Plate Was Named #2 Best Place to Work in North America by Plastics News. This was the first time Precise participated in this prestigious program. 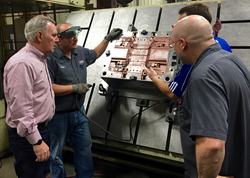 CEO / Owner Don Dumoulin discusses plastic injection molds with Precise Craftsmen. The Best Places to Work program was designed to identify, recognize and honor the best employers in the plastics industry, benefiting the economy, workforce, and businesses in the United States and Canada. 15 companies were named to this year’s list. Plastics processors and injection mold makers across North America entered the two-part survey process to determine Plastics News’ Best Places to Work. The first part consisted of evaluating each nominated company's workplace policies, practices, philosophy, systems, and demographics. The second part consisted of a confidential employee survey to measure the employee experience. The combined scores determined the top companies and the final ranking. Best Companies Group administered the overall registration and survey process, analyzed the data, and determined the final rankings. Plastics News honored all the winners and revealed final company rankings in a special ceremony at the 20th annual Executive Forum on February 16 in Naples, FL. Company profiles and final rankings of the 15 winners will be published in the March 21 edition of Plastics News. Companies trust Precise to design, manufacture and repair plastic injection molds many other firms won't tackle. Their 55 craftsmen are highly experienced in every phase of injection mold tooling, custom machining services and precision weldments. 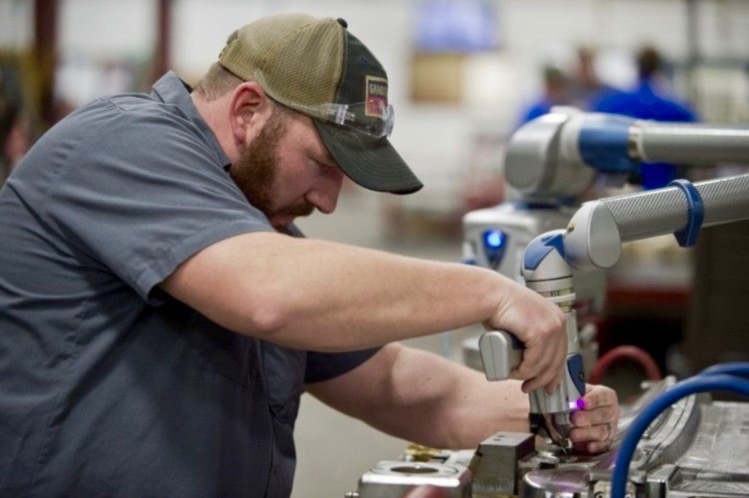 Injection molders don't like down time, so Precise manages its capacity to enable quick-turnaround engineering changes & repairs on molds--including those designed or built elsewhere. 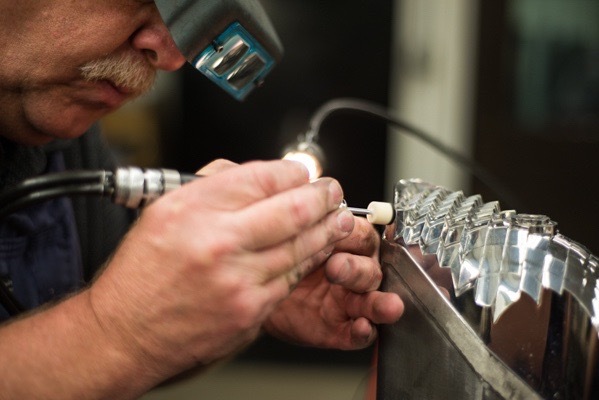 Precise craftsman Steve Heitman polishes an automotive lighting mold.